Don’t make speeches on the day they shoot me down in my pew, voice raised in praise to the One True God. Shun the microphones, cameras, and interviews, loved ones, it’s a carnival show. Refuse to listen to the talking heads, politicians, haters, and those with ready answers. They are only now realizing we’re at battle, and you and I know the weapons of our warfare are not of this world. Don’t change your Facebook photo with a map of my town the day a stranger I’ve invited to Bible study kills me where I sit as we pray. Boycott talk radio, social media, and memes. Don’t watch the hours of speculation and public grief. Close your eyes to my weeping neighbors offering quotes and concern. Pray that my life had an impact on them beyond these fifteen minutes of fame and that any seeds planted in their hearts bear fruit for the gospel of Christ despite (or in the wake of) my passing. On the day the sanctuary where I worship the Living God is violated by a gunman intent on his own ways, I would rather, my loved ones, you don’t skip a beat. Be about the work, I know you are about, the work of being light in a dark world, for we are not surprised that trouble has come. I am now safe, and trouble will have another day. Do what I know you do. Kneel in prayer before the sun rises. Read God’s Word and listen for His Spirit. Put His Word into action in your home, ministry, workplace, or on some foreign soil. Raise your children. Raise other people’s children. Save those who are abandoned or trafficked or abused. Educate the young. Challenge the older. Treasure the very old. Heal the sick. Search for the wanderers. Love your spouse. Honor your parents. Serve your community. Serve a community uncomfortable for you to serve. Abandon hate and do the work of reconciliation. Worship God with your thoughts, words, actions, and resources. Create. Have hard conversations. Encourage. And above all, forgive, and persist in love. if you add anything that day – pray for our young men. Check in with one you know. Get to know one you don’t. Support a ministry reaching this struggling, searching, agonizing generation. If they reject you, pray and redouble your efforts. Try again. These young men are worth our love and every attempt to reach them in the moments of their pain and anger and sorrow. And then, on the day I am shot down in God’s house in my hometown, I want you to gather in yours. Turn up the lights, throw open the windows and doors. Let the enemy know that where one is fallen more will rise. Where one light is sent on to glory, another will be set aglow. Where one heart that beats for Christ now sees Him face-to-face, another will begin to beat for Him anew. For our God can raise armies from dry bones, and He can further His kingdom amid flying bullets, empty words, and angry young men. We are children of the God who is love. We will continue to love, even under fire. Thank you for these valuable steps. Taking them already, dear Friend. The pastor of their neighbor church gave an incredibly comforting testimony to local news, filled with hope. In the middle of the sorrow, I gave thanks for the testimony. Amen. As he should as a shepherd of his community! Lori, it’s no wonder the enemy works so diligently to silence you, even literally. God is using you in these troubled times. Keep writing and keep speaking, even if only in a hoarse whisper. Praying His blessings on you and your family and for His healing hand enable you to meet every appointed opportunity. May those of us left alive let our lights shine brighter than ever! Thank you. Perspective bathed with hope. Just thank you. You draw your sword, throw away the scabbard and take your stand against the darkness. Our God is a strong tower. You and your words are a treasure, Lori. I’m grateful for you, for them and for the day, long ago, a friend referenced you in her blog, encouraging her readers to check out yours. I’m SO glad I did. God is NOT surprised by these events. He is not holding an emergency meeting of the Trinity. He is not wringing His hands in fear and asking what He should do next. God is still enthroned on high, and He is still in control. However, I believe He does feel pain and anguish when one of His children is taken from earth before the allotted time; pain and anguish with and for the grieving survivors. Let us stand in solidarity with Him in support of those grieving souls who have lost friends and family. We should weep with those who weep. Lament, grieve, mourn, pour our hearts out to the Lord. Well said, Sid. But remember that no one is taken before their allotted time. The One who grieves with us is also the One who determines the length of our days. We do not live one minute longer…or less… than He wills. Prayers going up for the ones left to wake up to this tragedy this morning! Well you know this is brilliant, dear friend. I am sharing with all. I love you. Yes. And this grabs my heart and is so encouraging… “Let the enemy know that where one is fallen more will rise. Where one light is sent on to glory, another will be set aglow. Praise GOD for this post. Let us share JESUS Christ every where. Wow, this brought me to tears. You said it all perfectly. Thank you for being a vessel that God can write through to reach others. Oh my yes… Just yes. I am so glad I found you. Your writing is profound. I’m with you on this. If somebody so warped by sin comes into a church while worship is taking place, opens fire, and kills me, I would much rather die having the Holy Spirit within me. Wow! You express my thoughts so well. Thank you. Amen. Beautiful response to a tragic circumstance. Thank you, Lori. Your words are inspiring. God bless you. in Gods time to know the Lord Jesus! You said exactly what is in my heart!!! Thank you! Great article Lori, love your perspective. This is a must read…because we’re all in shock again and hurting, and we’ll do what you say we’ll do, but we really need to do what you say we need to do. Because you’re right….God is bigger than this darkness. Beautifully composed words to the nation suffering still another tragedy. Thank you for writing. Thank you for this. I needed to hear it and be encouraged. Praise God! Best thing I’ve read today. Maybe Ever. Thank you for being His voice. Wow, what a terrific and important post, Lori. Thank you for speaking the hard, but inspiring truth today. Your post gave me goosebumps on the end. Yes, our God can raise armies from even dry bones and He will further His glorious purpose no matter what. Hallelujah and amen! Thanks for reminding us to be courageous as it is easy to hate but Christ reminds us of the grace poured out on us at Calvary, and the need for us to respond in love and forgiveness as we who were once under God’s wrath are now forgiven. That is a wonderful statement. God is love. 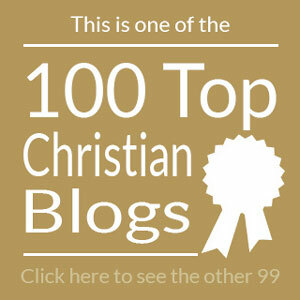 Great encouragement for the Christian community. So much better than the “May he rot in the hottest hell!” comments I’ve seen, which embarrass the name of Jesus. Thanks for writing! Prayed for you and will continually be praying for you First Baptist Church of Sutherland Spring Brethren. May God heal your broken hearts and spirits. May God send revival in our midst, not only to you but to all believers around the globe. This world has so much hate. The height of insult to the name of Christ inflicted through you brought pain to every Christian who professed the name of Christ. May we will not fail to respond as Christ would like us to do. In the name of Jesus, I rebuke the spirit of bitterness and hate in the hearts of the afflicted, praying that God will soften your hearts to be ready to forgive and to love the more. Let us claim Romans 8:28, trusting God has a clear purpose for allowing such tragedy to happen. Feel our love as we cry and grieve with you reaching out to you in spirit through prayer. Thank you, Lori. I’m so glad that a sister I love shared this with me as it yanks us back, giving perspective on our sorrow. Yes, open the doors! God is sovereign. thank you for these words. It helps remind us in the midst of all the chaos where our focus should be. We are at war in the story we have found ourselves in this world. Earth is not our home, it is our battlefield against principalities and powers oppressing human forms. My Spirt is sealed in Christ for all eternity. Praise Jesus the one name only by which man can be saved. I have no canned answer for evil other than the Light of Christ against which the dark cannot Prevail! Glory to God our King. You nailed it, Lori. One day they will all rise again. God bless you. Great words to stand for Christ!! Yes, yes, yes. This is the faith I was raised in. THIS. Right here. THIS is the faith I will raise my children in. Thank you so much for sharing it when it seems to be the rare faith anymore. Bless you for the only words that have comforted me since yesterday. Thank you for putting words to my thoughts and groaning. We weep and mourn and yet we live with hope and joy. Blessings to you my new friend. This was inspired writing. It resonates deeply. Thank you. Our grief is far different than that of those without hope. Well penned blog Lori. Thank you for these words. Amen! God is in control! Praise God for this word. Yes you are so right Father God will not let this be the last word. He will bless and build this church He is not finished yet. People do what they need to do in order to cope with the horror. If we do everything you say, we should shun you and your answers. It’s a terrible thing that happened. Some loved ones will never get over such a great loss. I think that sometimes they want the world to know how great a loss this is and when they share with us we can feel a little of their pain. We weep with those who weep. We want to understand why. I know from experience that when there is a great loss one of the hard things to deal with is that the world just moves on. How can the world just move on when one person’s world just stopped. Pray for those who lost loved ones, and if it is in your power to do so let them know that you weep with them today and every day for the rest of their lives. Some will never be able to stop the tears until God wipes them away in heaven. Great words. The enemy doesn’t just want to take lives, he wants to destroy lives and families. We have to keep being that light to shine in this world that seems to be getting darker by the second. Keep fighting the good fight! Thanks so much. A spiritual, Biblical perspective amongst all the rest is so needed. Could not have been said better or better written. My nephew died at 20. In a car crash where a person under the influence drove – not him – he shouldn’t have gotten in – but did. He burned to death. The preacher who baptized him 6 months earlier said we refer to such things as accidents. But they’re “unexpected”, only to us. We all have an appointed time to die. God knows when that is already. As horrific as the loss is for them (in Texas) and us, it is not before the allotted time. His ways are higher than our ways. Even when and if we don’t or never understand it while here on earth. My nephew had a baby on the way. She’ll be 9 in May. All she knows of him is he’d chosen her name. He, too, like these blessed souls had an appointed time to meet God face to face, as do we all. It does not change the grief. Or the empathy/sympathy we have for them one bit. The loss is incredible, no matter. But, it did change my perspective, a little, when I was reminded of God’s sovereignty. He doesn’t cause such tragedy. But knows it will happen. And will see us through whatever he brings us to with His Amazing Grace. The enemy’s goals are to cause us to hate…derail us…destroy us. His time is short….hate what happened….We need to run to Him and trust Him in the darkness…praying without ceasing…we need to focus people….grieve but understand we will have trouble on this side of heaven!! Painful reality that we are now living in is only a moment where heaven is eternal!! Share the good news…the Gospel truth…and don’t stop believing He is able to accomplish what concerns us today!! That was absolutely beautiful and I will share it far and wide. Thank you for these inspiring words of hope in this dark world we are in today. Bless you! Amen and amen. I always wonder why it is that evil surprises me – when we know we are in a spiritual battle! God is not surprised, and we should be prepared to love fiercely. Thank you for this dose of truth and challenge today! Powerful words and my first introduction to your writings. Continue to run the race with perseverance! AMEN. IN THE PRECIOUS NAME OF JESUS AND AGAIN I SAY AMEN. Thank you, Lori, for this convicting and incredibly important post. I so needed to read it. Sharing. “Worshipping God is not a guarantee that evil and sad and bad and disappointing things will not happen to me in my life. My goodness- look at what horrific thing happened to His only son!!!!! Worshipping God, for me, is my guarantee that when evil and sad and bad and disappointing things happen in my life , I don’t face them alone. He is there. In my 70 3/4 years of life there have been, and still are, challenges in my life. I testify that He has consistently been with me and silently comforting me with a peace (really surreal!) that without a doubt goes way out -far out -beyond all human understanding. Do I cry, and wail, and fall on the ground with disbelief when evil and sad and bad and disappointing things happen in my life? Even in my despair, when I am not aware-He is there comforting. Be Prepared. You are no good, dead. This couldn’t have been better said. It’s sad we’re so used to hearing these reports now that it doesn’t move us to action much at all. Thanks for your post! In the anticipation of the aftermath of a tragic day when you may be shot, you have urged others to avoid doing what you have done here in the aftermath of the shooting of those in Sutherland Springs. What you have written here is helpful and of value. Why, then, should others not also go to social media to offer or receive similar encouragement if the day should come that you die in such a tragedy? I am not being snarky, my dear sister. I am asking you to reconsider your expressed desire that others refrain from commenting and avoid social media if the tragic day about which you have conjectured should ever come. It is because I was browsing social media for commentary that I found your thoughtful piece. Given that social media is the vehicle through which you have delivered your thoughts, it struck me as odd that you would call for a boycott of social media if you should ever die in this way. Apart from this observation and question, I am thankful for this piece and for all you do to inspire thought about meaningful things. May God richly bless you, Lori! It’s a fair question. If they choose to engage in social media in order to encourage, embolden, and bolster the faith of the church, then I say, please do. If they go to offer holy lament and biblical comfort to the survivors, then I say, please do. If they go to blame, to conject, to speculate, to contribute to fear-mongering or dread, or to condemn, then I stand by my words. There is a time for restraint, for silence, and to let the dust settle and the spirit speak. I appreciate your question and your tone, brother. Thank you for a well-stated response with which I wholly agree. I suspected this was your intent and simply wanted the sort of qualification and clarification you have provided. Peace, sister! I really think you missed the point. I thought it was beautiful . However I’m doing exactly that same thing. So let’s get off here in just go do you some good. So well said. Yes, those who died are in a better place, bc prayerfully they had given their hearts to Jesus. If not He is gracious enough to know where the people who died were they where they were searching for Him who know them & at that He took them Home. For those still struggling with their bodies being ravaged with foriegn objects may they feel Jesus surrounding them as the doctors & nurses & loved ones care for them. May this town & surrounding towns cling to eachother in this difficult time. May they too see & feel Jusus. Even though my heart goes out to those that lost their lives and the families they left behind I know that there Redeemer lives and because he lives they too will live forever in his presence as another one commented this did not surprise God he saw it he allowed it he is sovereign Almighty God. Remember God’s word said that we are accounted as sheep for the slaughter but Jesus has overcome this world the grave and death and so keep praying to Saints I pray for the eternal peace of Jerusalem and come Lord Jesus quickly, amen. Use this post as God leads. I’m going to print this out and post it in my store! I am so small but my heart wraps around all those fallen and all those left to do His work. We will stand in faith and be strong in the word of our Lord. In the times we are weak may He carry us in His arms and when we are strong again we will show Him what a team and army we are. We raise up in His name. We will do this in His name. He is9 our everything; our Alpha and Omega. We praise thee our Savior. This Mental illness should be under lock & key from the beginning. The new mind altering drugs of today are alot different than in the yester years and are pretty much the cause. Our young are introduced as young as elementary school. Some children continue these habbits throughout to high school with out even the parents knowledge or if they know they ignore it thinking it will go away. This is the problem! It doesn’t just go away not this stuff. It is much more addictive than in the olden days. Mr. President the United States has a problem much worse than ISIS. This is wide spread across the United States in every school and night life. It’s taking our children and grandchildren into another world of unjustful whirlwind of confused reasonings. This causes them to join blindly into these hate organizations. God help us all. We have and will continue to pray for the grieving town and families. Someone who needs to read this. Thank you. Thank you for your excellent Christian comments!! I agree 100% with all you stated! One point of discussion I request is the subject of having armed personnel at our churches. Our church has up to six Police Officers on duty at our services. I am torn with the disparity between the Old and New Testament with armed members. As example when the wall was rebuilt and each man was armed compared to when Nero burned the Christians alive. As Shaffer would say how should we then live. So beautifully written. Thank you for your powerful words. Amen and AMEN!! Very good comment. I would add to that never fail to speak up against assault rifles that are instruments of horrific death of the innocent. Sandy Hook has made an indelible impression on me. I am a teacher. I cannot imagine the horror that these first graders experienced. How would I have as an adult reacted, would I save myself or would I do as this teacher and principal did. Cover these angels with my own body. Our country has become deaf to this horrific trend in our society. And the latest victim of this travesty was an 18 month old baby. And our flawed lawmakers choose to do anything about this. Thoughts and prayers are not enough in these situations and then we return to our every day activities. Speak up against the lobbying NRA and the congressman who accept their money to pay for their own reelection.reminds me of the song we sang in church school. “DARE TO BE A DANIEL DARE TO STAND ALONE. DARE TO HAVE A PURPOSE FIRM. DARE TO MAKE IT KNOWN. You have written so well that so many of us feel night are unable to write. Thank you for penning for our hearts. Very good comment. I would add to that never fail to speak up against assault rifles that are instruments of horrific death of the innocent. Sandy Hook has made an indelible impression on me. I am a teacher. I cannot imagine the horror that these first graders experienced. How would I have as an adult reacted, would I save myself or would I do as this teacher and principal did. Cover these angels with my own body. Our country has become deaf to this horrific trend in our society. And the latest victim of this travesty was an 18 month old baby. And our flawed lawmakers choose to do anything about this. Yes, yes, YES!! Well said. I love an aggressive and victorious posture towards the evil happening in the world. Thanks, Lori. We must also remember that they killed Jesus too as he was praying to our Father. He could have stepped down…could have had angels intervene and ‘rescue’ Him, but that was not the plan of God. Aside from this mad gunman, they are going to hate us for our faith at any cost. Our efforts in faith and in prayer must be stepped up as anyone can see that there is far more ahead of us. The agony and pain caused by one unhappy man is terrible to the people and families involved. All I can say is that God is here. Even though it is bad, very bad, Jesus is here with us. God bless you all. thank you for your post. Experiences that happen in the Church Pew are the one’s that strengthen our faith, even to both loss and death. Thanks so much for sharing this article. It should strengthen the faith of all who read it. YES! YES! YES!!! Thank you for these beautiful words. Beautifully stated Lori and you are absolutely right! Thank you for sharing. Amen through and through! Thank you for sharing this. Love the line where one heart who beats for Christ now sees Him face to face. God is a mighty God full of mercy and grace enough for all. Beautiful. Well said. Salt and Light church. Press on. Preach the gospel. Powerful! May God bless, comfort, strengthen and heal the people of Sutherland Springs, Tx. OH! Your words speak to me. I cannot seem to find the right words. No need, here they are! Thank you so much for this. Tears and truth seem always together! Amen. On the day they shoot me in my pew, pulpit….remember me as loving you, The Lord and the church; go and share that love without looking back, hold onto no feelings of hate and that I have returned to my Lord knowing where and to Whom I was going. Be at peace, keep the faith but not to yourself and know we will meet again. Beloved brithers and sisters in Christ, from Philippians 1:21 Paul said these words “For to me to live is Christ, and to die is gain.” We must be ready to meet the Lord at any moment. May God be with the families of these victims and may they find in their hearts to forgive and keep living. Tell the good news that Jesus Christ is Lord! I’m so sorry this has happened to your loved ones. God Bless their memories. Yes!!!! Thank you for the reminder that this IS war, and we must press on as our MIGHTY God instructs! I am so glad I read this. I have been feeling so useless after hearing about the shooting. I’ve been praying, but I’ve been wondering if there is anything else I can do. Your post says I can. Your writing, Lori, has moved me for years…but this. THIS. This is prophetic at its most beautiful and heinous. I weep with us and ask the Lord to let those of us who feel so deeply to bring His Great Light into every corner we inhabit. May I look and see and touch and experience the wonder of Life every step I take today because of the depth of His Love professed through your writing this today. Thank you. place of worship where they felt safe and protected by our God, but evil continues to walk among us, so continue to pray, worship and praise God in ALL THINGS !!! 3. (2Cr 10:3-6) Does Paul minister according to the flesh? a. For though we walk in the flesh: Paul will admit that he walks according to the flesh in the sense that we all do. He is a flesh and blood human being, and he struggles with the same things the Corinthian Christians struggled with. However, Paul wants to make it clear that he does not war according to the flesh. b. For the weapons of our warfare are not carnal: When Paul fought, his weapons were not material but spiritual, suited for spiritual war. i. The carnal weapons Paul refuses were not material weapons such as swords and spears. The carnal weapons he renounced were the manipulative and deceitful ways his opponents used. Paul would not defend his apostolic credentials with carnal weapons others used. ii. In Ephesians 6, Paul lists the spiritual weapons he used: the belt of truth, the breastplate of righteousness, the shoes of the gospel, the shield of faith, the helmet of salvation, and the sword of the Spirit. To rely on these weapons took faith in God instead of carnal methods. But truly, these weapons are mighty in God for pulling down strongholds. iv. Jesus relied on spiritual weapons when He fought for our salvation. Philippians 2:6-8 describes this: who, being in the form of God, did not consider it robbery to be equal with God, but made Himself of no reputation, taking the form of a bondservant, and coming in the likeness of men. And being found in appearance as a man, He humbled Himself and became obedient to the point of death, even the death of the cross. This kind of victory through humble obedience offended the Corinthian Christians because it seemed so “weak.” The carnal, human way is to overpower, dominate, manipulate, and out-maneuver. The spiritual, Jesus way is to humble yourself, die to yourself, and let God show His resurrection power through you. Amen, sister! This is outstanding. The most Christ-like response to church shootings that I’ve seen. Thank you Lori! I read this, shared it on Facebook, where it’s been shared from my page 4 times. Today I came back to read it again. These words are powerful, inspiring, comforting and encouraging. Thank you so much for sharing this word with the whole church. I also agree that If I am killed in a pew in church prasing the Lord, I’m on my way about my Fathers Business. Thank God I’m finally home. I don’t get it. I don’t understand how Christians cannot be outraged by this. Why it is best to Do nothing, turn off the Cable and forget it ever happened? Excuse me, but is the second Amendment one of the 10 commandments? I’m confused about how someone who follows the guy who says “turn the other cheek” won’t speak out against our society’s obsession with guns? Especially after a slaughter like this? Enough is enough. But, I’m not surprised. After all those grade school kids were killed and absolutely nothing was done about it, clearly then it has become tolerable to accept their deaths as the sacrificial price of our 2nd Amendment freedom. I guess the pointless slaughter of praying Christians at a Sunday morning church service won’t move anyone either. Onward Christian Soldiers! This post isn’t about doing nothing. It’s about continuing the work so many Christians are already doing on all the levels that make a difference in preventing or responding to this type of violence. Of course, there’s heartache and outrage. Of course, no one forgets this has happened. Excellent. As a Christian I would want it the same way. Every, every situation is a situation to raise God in praise and instead of quoting scripture, live it. We need to always look into pure own souls. If we are not exhalting God we need to check ourselves, immerse ourselves in His word and find ourselves seeking the face of the Lord on high. Such a wonderful challenge to us all to reframe this horrible tragedy and recognize the enemy was not the shooter, but the one who comes to steal kill and destroy. Thank you for being so creatively courageous. Spoken like a true Christian in love with Christ! Lori: this is awesome. I was very touched. I am using it during my pastoral prayer time this week. Thhank you for writing this. May we all follow your lead. Glory to God. We will pray. Thank you for writing this. May we all follow your lead. Glory to God. We will pray. Thank you for writing this. Wonderful words. Lori, whatever life throws at you … and it’s certainly more than most face on a daily basis… your writing stays razor sharp and inspired. Praying as you continue to keep on keeping on. Thanks for this timely and spot-on word forthis sad day. God bless. On the day they shoot me as I am gathered to encourage and edify my brethren in Christ, and to glorify and praise God, I just want you to focus on Jesus. He is your life. Fall in love with Him again. Spread the good news. Don’t waste a moment. Live Him in the moment. Try to get through to the shooter. Show him/her Jesus. Forgive as quickly as you have ever been forgiven. And forgive me for going on ahead.